Hello friends! Can you believe that January is already winding down? And hasn’t the weather this month been wild? We’ve had storms, freezes, and frosts, with a few rare mild days mixed in. 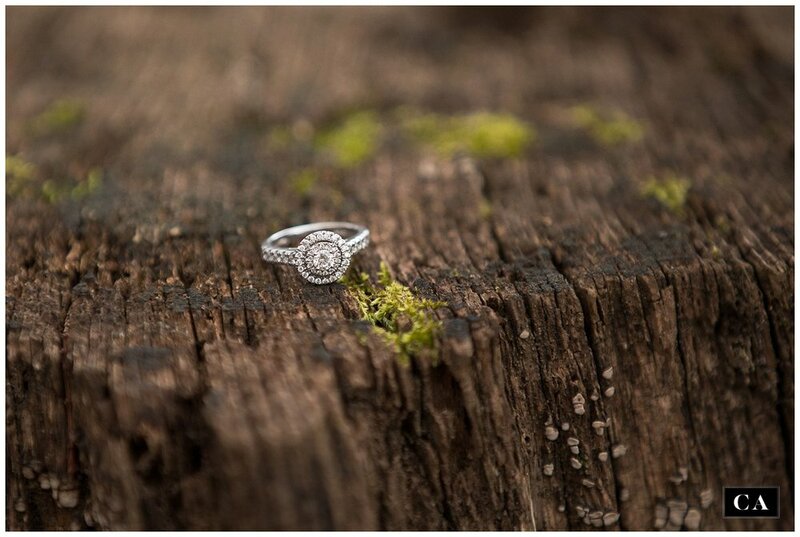 I was so happy and thankful when Victoria and Anthony’s engagement session landed on one of those warmer days! We took a walk along the quiet winter trails near Plymouth Bluff together, and it was if the gentle January sun was smiling a blessing on this sweet couple. 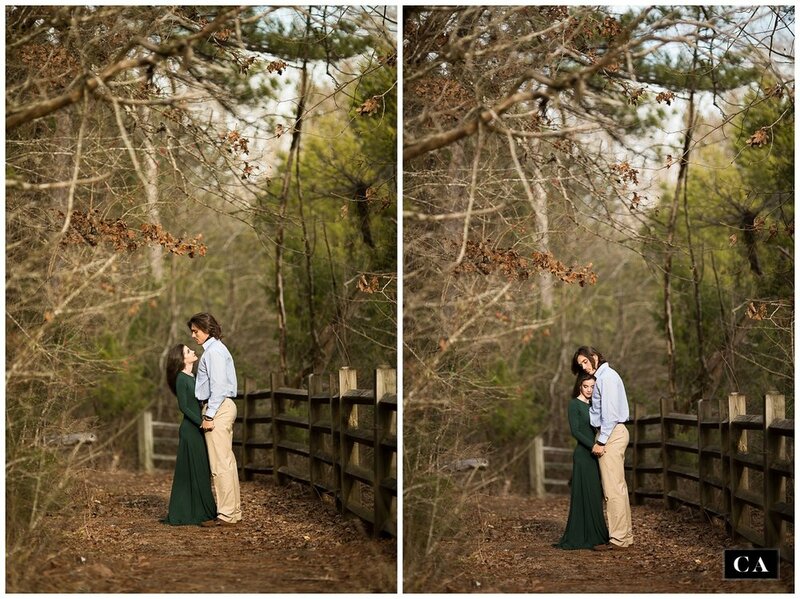 Their session reminded me how much just being out in the woods feeds my soul. 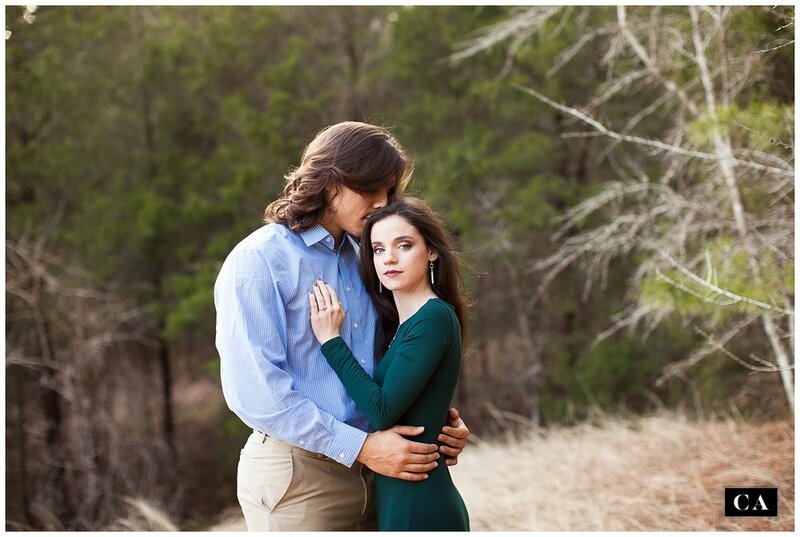 Oh, and how much I love long flowy green dresses, y’all. My goodness. I can’t even decide what to call that shade of green. Excuse me while I go Google “flowy emerald dress” for a moment…. Victoria and Anthony have such a sweet love story. Their love stretches all the way back to junior high at Victory Academy! I love the way Victoria describes it: “We’ve been dating since we were the same height!” She works as a nurse in Columbus, and Anthony is currently in nursing school. So not only are these two adorable & complete sweethearts, they can totally save your life too. That’s a REAL power couple, right?? Victoria and Anthony have such a natural, romantic connection, it’s easy to tell they have spent almost nine years building their relationship. And by the way, if anyone out there thinks that the longer you date your sweetheart, the fewer sparks you’ll have, just look at these two! We wrapped up our day at Plymouth Bluff with some fun, relaxed moments playing in the woods and leaves, and talking about CrossFit insecurity. (Victoria, just so you know, I’m still scared to try it too!!) I’m so glad that sometimes we get a taste of spring, even in January! Spending the afternoon exploring the woods with Victoria & Anthony on a day like that was a gift. I couldn’t think of a better way to spend a winter day! 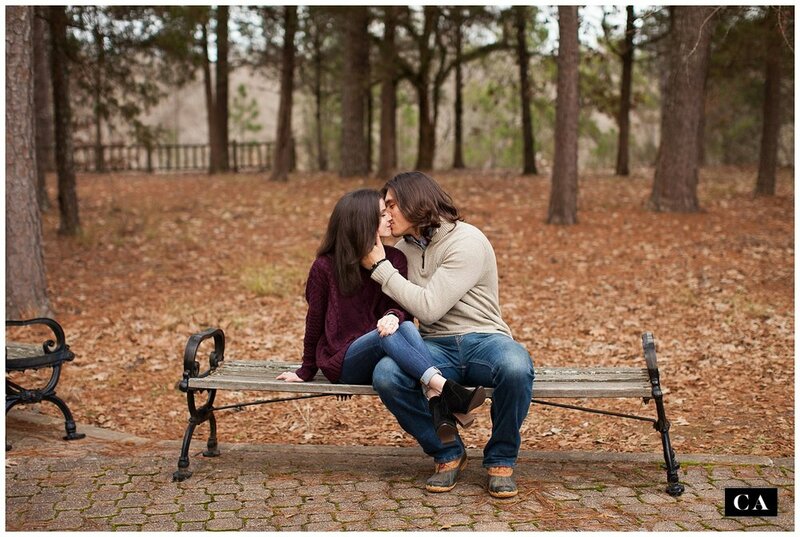 And I’m so excited that I will get to celebrate with these two on their happy summer day in June!